In this recipe the full cream milk,evaporated milk and sweeetened condensed milk must be in equal proportion i.e., 4 Oz. First beat the eggs with a hand blender on medium speed for 2-3 minutes. Add the sweetened condensed milk,evaporated milk,full cream milk,vanilla essence and about 1/4th cup of sugar. Using a hand blender beat this mixture for about 2 minutes,till everything gets mixed.Set this aside. Taking a thick bottomed vessel add about a half cup of sugar and caramalise it. To caramalise the sugar put the vessel with sugar directly on fire,do not add any water to the sugar. Keep stirring the sugar,the sugar starts melting,now keep stirring it till the sugar turns to a nice light brown caramel color,dont make the color too dark. 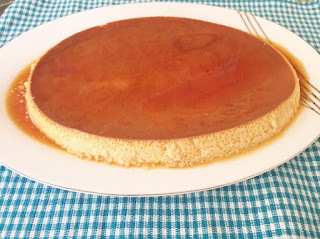 Be very careful when caramelizing the sugar as the temperature of the sugar is very high. 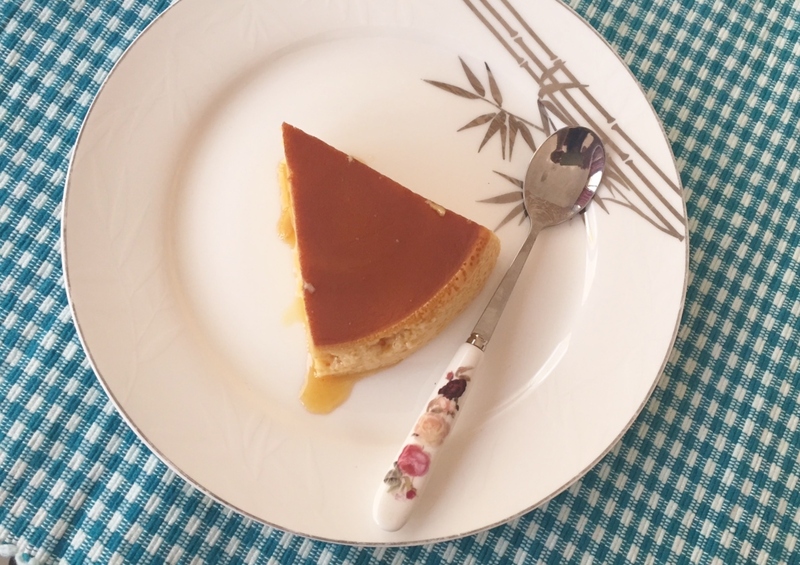 Now transfer this caramel to a pyrex bowl or any oven proof bowl,and spread the caramel with the help of a spoon. Now transfer the liquid to the same bowl. Carefully place both the bowls inside the oven . Fill the larger empty bowl with boiling water upto half. Seal the bowl with an aluminium foil and bake it at 180 degrees till the pudding gets set. it may take around 45 mins,it depends from oven to oven. Now let the pudding settle down at room temperature,later refrigerate and leave it over night to set. For dishing out,run a knife around the corners of the bowl,and flip the bowl in the dish you want to serve. Very useful blog for viewers!! What is the temperature I must set..and should I use double boiler method even in microwave? What is evaporated milk? Can I find it in India, else what can I substitute it with? Also, is it possible to steam this pudding in a cooker or stovetop? 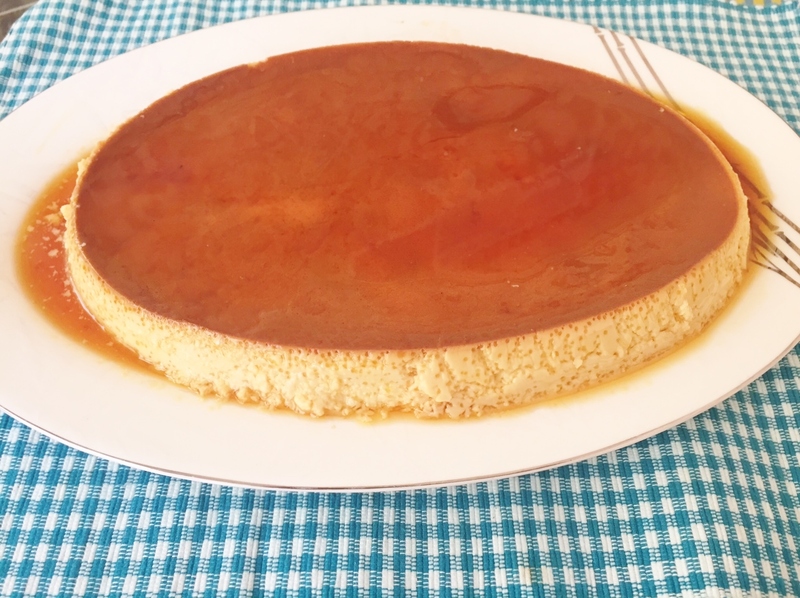 You can easily find evaporated milk in super markets,or u can simply make it at home by following this link http://www.myrecipes.com/how-to/cooking-questions/substitute-evaporated-milk .You can cook the pudding in a cooker using the steam method. ASAK Anjum. Am I supposed to bake it at 180 degrees centigrade or farenheit? 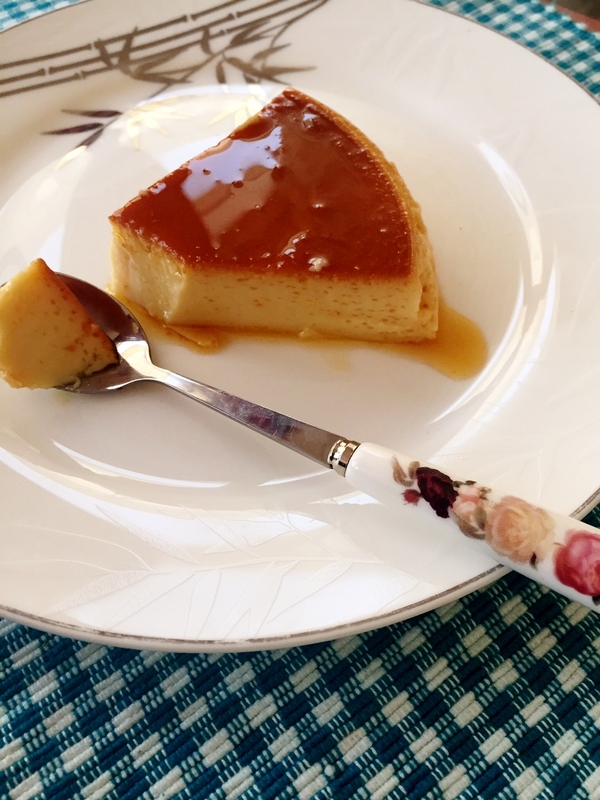 Thanks for the recipe; I love this pudding. Is it 180 degrees centigrade or farenheit? Thanks for the recipe.